Hello there lovelies. So, time has flown by and I’ve been engaged now for 6 months and I have to say that the early engagement period was pretty overwhelming! As soon as we got engaged, there were non-stop questions about where our wedding would be and when it would happen. Ricky and I are a multi-cultural couple to say the least. With Ricky being a Chilean-Canadian, living in New York, and with me being a Chinese-Malaysian Australian living in London, the big question on everyone’s minds was ‘Where?’ There was a point where if I were to hear ‘Where will it be Kylee?’ one more time, I was going to call the whole thing off! OK, yes I’m being dramatic. The thing is, I don’t think it was the questions that were getting to me, but the fact that I didn’t know the answer myself. And so the search for a wedding venue began. There were many places thrown around: Italy, Bali, Chile…. And in the end due to family reasons, we settled on Melbourne. Then came the task of venue hunting in Melbourne. We shortlisted a few places all with distinctly different styles. The one at the top of our list was The George Ballroom. The George Hotel was built in 1857 with the addition of the grand ballroom in 1886 originally functioning as a tea room and popular wedding venue. It had been closed down for 9 years however and re-opened in 2015 with extensive restoration of the iconic hand painted ceilings and walls – the element that I loved most about the space. Isn’t it stunning? As a wedding photographer, The George Ballroom is a dream venue. At first I was adamant that we were having our wedding here no matter what. And when Ricky eventually saw it himself he understood why. It was perfect for what I had envisioned. In the end however I had to come to terms with the fact that it was probably going to be too small for the number of people we are expecting. 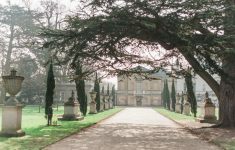 So now my wish is that I’ll be able to shoot a wedding there some day soon! ;) And so the search continued…. Next up was Circa – a beautiful venue with a more modern vibe. I love The Deck area where many people have their ceremony. Having met on a rooftop, we felt a rooftop ceremony could be quite meaningful. The contemporary, chic indoor space used for the reception has abundant natural light too, which I love. Unfortunately it was yet another beautiful venue that wouldn’t have the capacity for the number of guests at our wedding, so we moved on and viewed Abbotsford Convent. 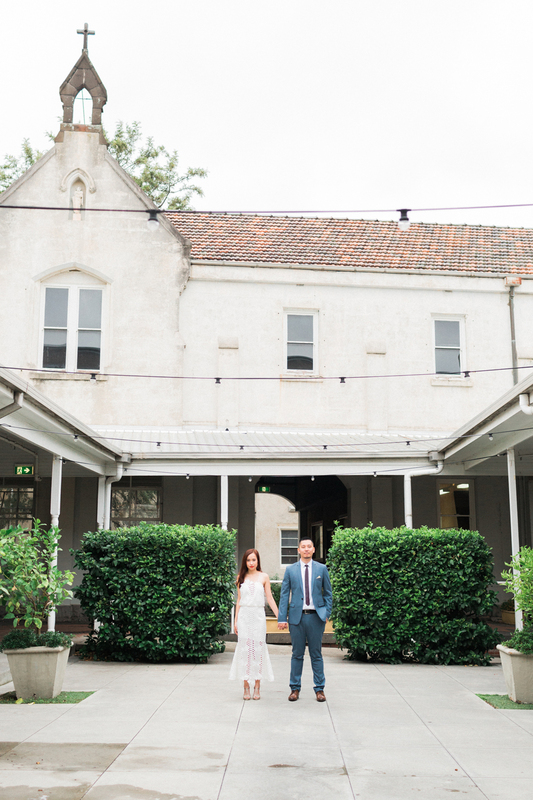 Abbotsford Convent is an old converted convent with pretty gardens and a rustic hall for your reception to take place. There is even a cute little chapel on site where you can get married. It also has this sweet courtyard where you can hold drinks or even dance under the stars. 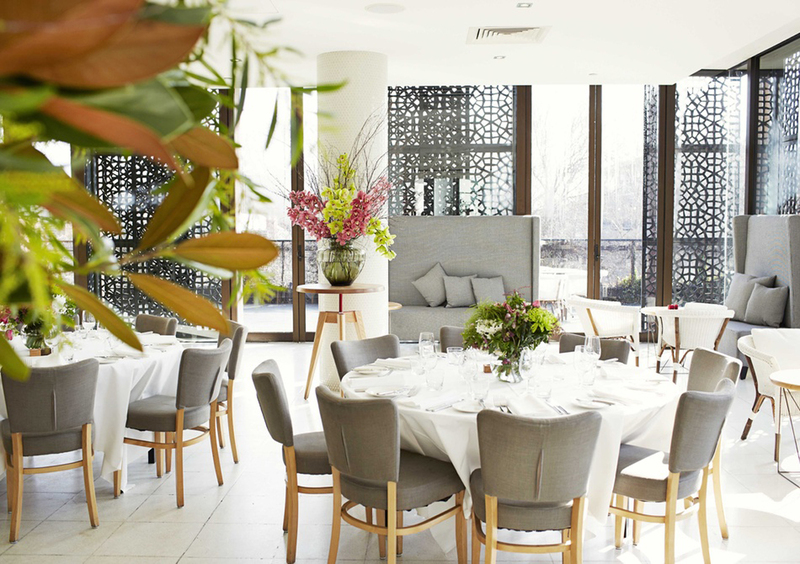 We both really liked this venue for it’s versatility and laid-back feel and put it down as a final contender. Next up was Harbour Room. We knew from the outset that Harbour Room definitely fit the number of peple we would be expecting. Right on the beach with gorgeous views of St Kilda and a space for a rooftop ceremony too, it ticked quite a few boxes. The reception space is a blank canvas that can be styled in any way. Slowly however our plans moved from being a Summer wedding to an Autumn wedding, and with Melbourne’s temperamental weather and it being quite windy by the beach, the rooftop idea no longer seemed like a good idea. With this in mind, we went along with the suggestion from the event co-ordinator to view their sister venue Carousel. 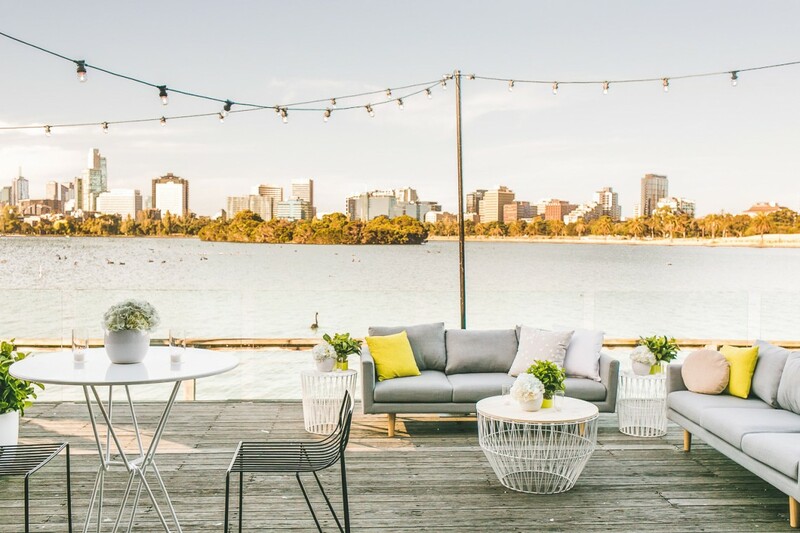 Carousel is a beautiful venue located on the water’s edge of Albert Park Lake with stunning views of the Melbourne city skyline. It was almost this alone that led this venue to become our top contender. With many people potentially coming from overseas – if felt like a great venue that international guests would enjoy. 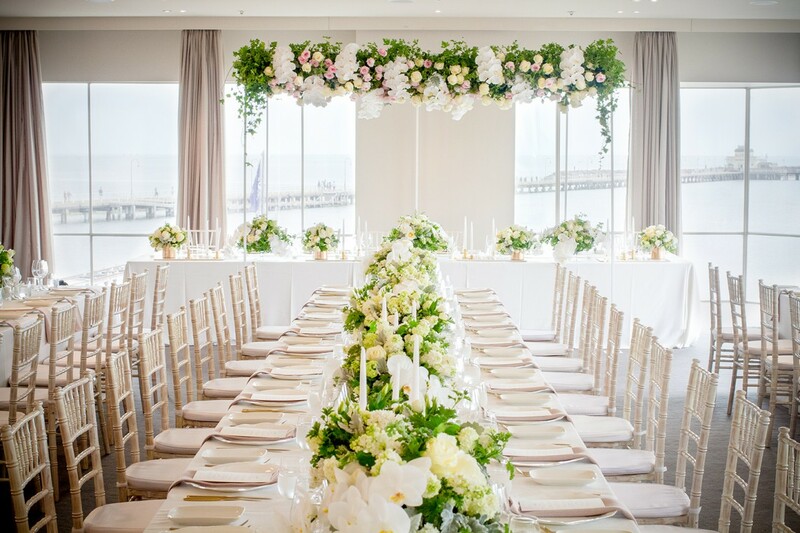 There is a deck on the water where you can have the ceremony but also a beautiful indoor space that can be utilised if the weather isn’t favourable – a great back up to have for an Autumn wedding. 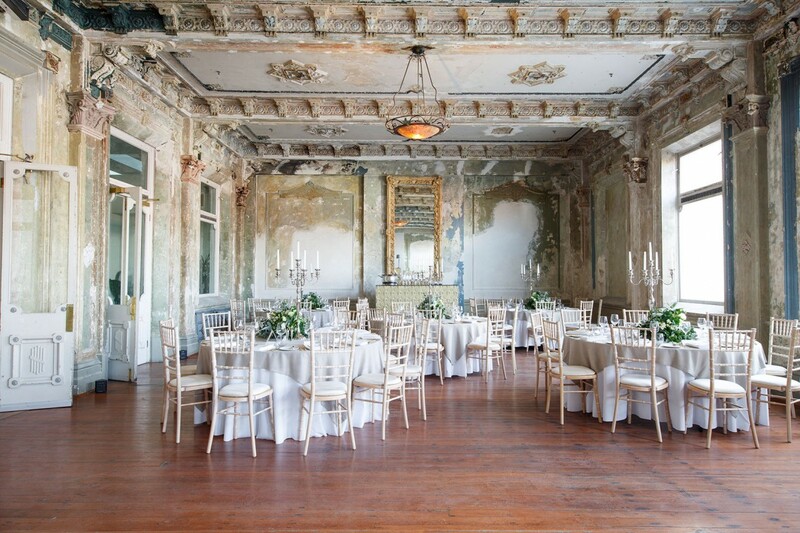 This venue is another blank canvas with neutral colours – styling ideas for this space would be endless. After great thought, Ricky and I ended up deciding between Abbotsford Convent and Carousel, and finally happily agreed that Carousel would be most suitable for our guests and us. YAY! Our first major wedding decision made! So there you have it folks – the whole venue finding process done and dusted! Carousel: via The Style Co.
I’m an Australian wedding photographer currently splitting my time between London, Melbourne and NYC. I’m a free spirit, fun-loving, ‘wear-my-heart-on-my-sleeve’ kind of girl. More than anything, I love my family. I love smiles – big sincere ones. I love the sparkle in someone’s eye when they are thinking something cheeky. I love deep hugs (and hate those *tap tap* pat-on-the-back hugs – YOU know what I mean!). 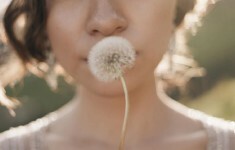 I suffer from constant wanderlust. 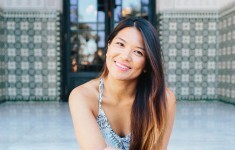 After my boyfriend proposed at the New York Marathon I found myself planning my own wedding - and I'm excited to share the adventure on B.LOVED! Find me at www.kyleeyee.com too! It’s a new year, and almost a new wedding season… so you know what that means?